This company was founded by M.Clément Gaget in Oyonnax (in the French "Plastic Valley" near Lyon) in the 1950's. 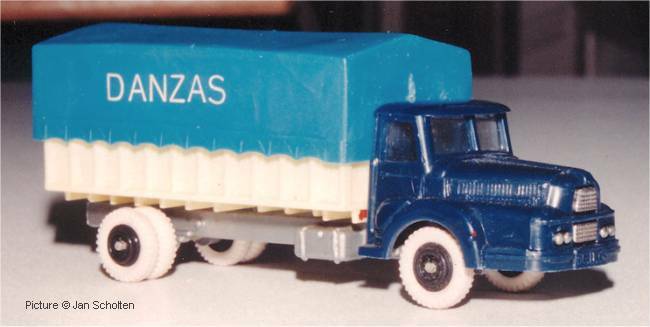 They produced many models in 1/32, 1/48, 1/64 and 1/90th scales under their own name for the 'economy' market (low price shops) and as give-aways with foodproducts and other goods (Bonux washing powder, Huilor oil, Mere Picon spirits etc.) 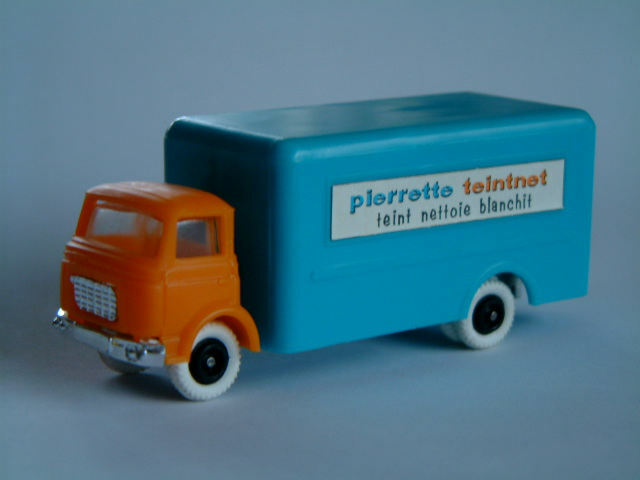 We shall only look at the 1/90th range of models made up of a few different types of French commercial vehicles of the 1950 and 1960's. 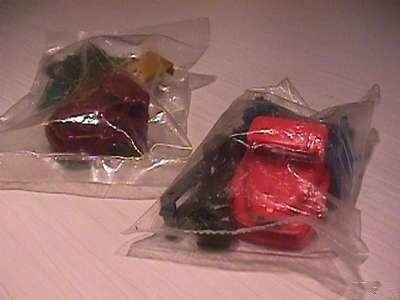 Despite the fact that the number of modeled prototypes is limited, the range of models is quite wide with many releases used as promotional items or toys. There was one car model in this series, a Citroën DS19, which is extremely scarce. Type 1 Deluxe finishing White tyres, twin rear wheels , chrome-plated accessories, transparent 'glass' insert.